The main objective is to inculcate the habit of scholarly reasoning, promote ethical standards, moral values and excellence in educational standards besides maintaining social harmony in the campus. All students are expected to follow and strive to achieve these objectives and behave in a manner befitting a professional course student. Any student found to be acting directly or indirectly for the breach of the above said objectives would be punished accordingly. The Principal of the institute will take any appropriate action as deemed fit in exigencies to protect and maintain general discipline, prestige and standards of the college and all such decisions are final and binding on the students. All the students of the college are expected to behave politely with the staff both teaching and non-teaching. The students should keep the college premises clean and tidy. Incidents of indiscipline by student(s) in any manner in and outside the campus will be enquired into by a college discipline committee. The Principal will decide the action/penalty to be levied on the guilty, which may include expulsion. 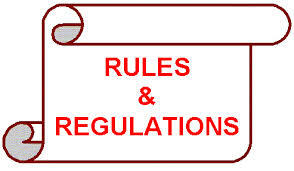 All candidates who secure admission in the college are deemed to have agreed to all the rules and regulations, given hereunder and such other rules and regulations as to be added, or amended from time to time. Students, admitted in this college, will have to give an undertaking that he/she will not involve in any sort of ragging or any other indisciplinary act; if involved, he/she is liable to be punished accordingly. The B.E/B.Tech students must necessarily wear uniform i.e., boys should wear brownish cream color shirt and snuff colour (dark brown) pant and girls should wear chudidar (top and bottom) of said colors and chunny in brown colour. All the boys must wear black full shoes with socks and all the girl students must wear black shoes whenever they come to the college. All the students should speak in English in the class rooms as well as in the college campus. They should maintain punctuality and decorum of the college. They should not shout or talk loudly in the college campus. Students should not stand in corridors/ near cycle stand for gossiping. Students should not sit on the parapet walls, railings, steps or stair-cases. Loitering in the corridors or in the campus during college working hours is strictly prohibited. Students should put up a minimum attendance of 75% in all subjects of the year/semester, as laid down by Andhra University. Students, falling short of 75% of attendance shall not be allowed for the university examinations at the end of the year in case of first year or semester in case of 2nd, 3rd,or4th years and shall not be allowed for promotion to the next semester of study. He/she shall be required to repeat the same course of study. A certificate of appreciation will be awarded to those students who secure 100% overall attendance in a semester / First year course. Students should attend all Seminars, Guest Lectures, and Training Classes. Attendance will be given for all these activities. The students should utilize the counseling classes to express their feelings. Students should maintain strict discipline inside the class rooms as well as in the college campus. They should keep the class rooms/college campus neat and tidy. Any suggestions or grievances of the students can be brought to the notice of the authorities through suggestions boxes, kept in the departments. Students should be punctual to the classes. They will not be permitted into the class 5 minutes after the commencement of the class. Triple riding on two wheelers is strictly prohibited in the college campus. Students should not bring cell phones to the college. If any student is found with a cell phone, it will be taken away from him/her and confiscated by the principal as a part of disciplinary action. Smoking in the college campus is strictly prohibited. The gates of the college will be closed except during break time. Names, Slogans, Sticking of posters, pamphlets on number plates/vehicles are strictly prohibited. Ragging is strictly prohibited as per Government Orders. Students should display identity cards on person during their stay in the college campus. No student shall leave the classroom without the permission of the teacher or until the class is over. Students should keep their vehicles only at the places allotted for that purpose. Students should not bring any unauthorized persons into the campus. Any student involved in breaking or damaging any college property shall be punished severely. Students are prohibited from resorting to strikes and demonstrations, as it shall automatically result in suspension from the college. Students are prohibited organizing any meetings or entertainment programmes or collection of money for any purpose within the college or outside the college without the permission of the Principal. Criticizing or abusing the girl students in foul language is strictly prohibited in the campus. Organizing birthday or any other personal functions within the campus is strictly prohibited. No student is permitted to roam in the campus during class/Lab work. No student should be present in the canteen during the class work. Students are expected to spend their free time in the Library/Reading Room. A student who disturbs a lesson or makes mischief in a class should be expelled from the class. Students are expected to behave well with the, staff, other students and general public. Any misbehavior coming to the notice of the college authorities will be severely dealt with. The conduct of the students should be exemplary not only within the premises of the college but also outside. This will help in maintaining the image and status of the college. A fine will be imposed if anybody behaves contrary to the above rules and the amount so collected will be utilized for the student welfare activities. All students admitted into this college, will be required to pay the prescribed tuition fee and other specified fees. Failure of the same will result in the cancellation of admission. No portion of fees will be refunded under any circumstances. If any student wishes to change the college or discontinue the course at any time for any reason, he/she shall not be permitted to do so unless he/she pays the balance amount of fees for the remaining years of course of study. His/her original certificates including T.C., etc., will be issued only after all the dues stated above are cleared by the student.